According to city officials, the worst of the economic downturn may be behind Ann Arbor. 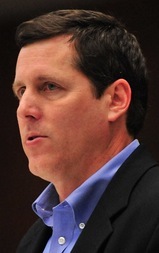 The city of Ann Arbor may have seen the worst of the 2008 economic downturn, Tom Crawford told the Ann Arbor City Council Monday night. The city's chief financial officer gave a relatively upbeat budget forecast for the coming year, telling council members to expect more revenue to work with in budgeting. "It's been a while since I've given you a forecast with an increase in revenues," Crawford said, pointing out property tax revenue projections are up. "It is indeed a more sunny outlook than we've had in the last several years," agreed Mayor John Hieftje. A year ago, the city adopted a two-year budget plan that included deep cuts, but city officials are revisiting the second year of that plan before the new fiscal year starts July 1. The previous plan had recurring general fund revenues and expenditures balanced at $77.8 million. City officials now predict general fund revenues will come in $900,000 higher than planned, while expenses are expected to be down by $700,000. And that's even after a series of budget revisions that have the city looking to avoid further staffing cuts in the police department. The budget plan presented by Crawford shows the city canceling nine planned job eliminations in the police department and adding an extra officer position. Whether the city will avoid the planned elimination of five firefighters remains to be seen, Crawford said, noting the city still is in negotiations with the firefighters union. Property taxes are projected to come in $600,000 higher than expected, while state-shared revenue projections are up $700,000, according to Crawford's numbers. Another $200,000 in increased revenue from fire inspections is expected, which Crawford attributed to Fire Chief Chuck Hubbard's renewed emphasis on fire prevention. Some losses of revenue offset some of the gains. Expenditures are going down largely due to the outsourcing of police dispatch operations and savings in health care costs due to union concessions. Other than losing 19 dispatch positions due to shifting those responsibilities to the county, and possibly five positions in fire, there are no major job eliminations planned now. The council is planning another working session on Feb. 27 that could go more in depth on the police budget, and another on March 12 that could go more in depth on the fire budget. If necessary, there could be another budget working session on March 26. The city administrator is expected to release his official recommended budget April 16, followed by a public hearing on May 7 and council consideration on May 21. There was one highlight on the expenditure side that caused one council member to remark "oops" Monday night: Energy costs are going up by $300,000. "This is primarily driven by street lights," Crawford said. "There was an audit done on street lights and actually DTE has more street lights than they realized they should be billing us for." The original budget plan for 2012-13 was to cut human services funding by another $49,000, but the new plan is to increase it by $39,000 — an $88,000 swing. The administration also is proposing that park maintenance be increased, returning city parks to a 14-day mowing cycle instead of a 19-day mowing cycle. Even with those changes, there still is a $1.6 million savings identified. Crawford is recommending the council sock away $1.4 million in the general fund cash reserves, and use about $150,000 to start a police officer recruiting program. Police Chief Barnett Jones was there to talk about the pilot program, telling council members it will help make sure well-trained officers are in line to fill vacancies when they arise. Jones said thousands of law enforcement officers in Michigan have lost their jobs over the last decade, and the recruiting program — which the union supports — will allow him to go out and find five of the best available officers and hire them as part-time employees. Each of the part-time recruits would work up to 1,500 hours a year and assist in making arrests and booking suspects. He said they'd be assigned to the downtown most of the time. "And every time we have an available opening, one of those police recruits would be promoted to the rank of police officer," he said. 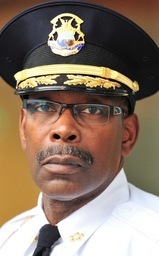 The Ann Arbor Police Department is in a transition state, Jones said. Nine police officers retired at the end of 2011, opening the door for some promotions and new hires. Jones said he recently thought he had lined up nine new hires. The department spent time evaluating them, but most of them didn't work out, he said. "It's a little hard to hire people. Everybody is competing out there for new hires right now," he said. "I lost a couple of the new recruits to other agencies and some of them had some things in their background that were just not going to be perfect fits for us." Jones said he hopes to be able to tell council members by the end of this month that all the vacancies in the department are filled. Hieftje said he's particularly interested in seeing a stronger police presence in the downtown to combat nuisance crimes like aggressive panhandling. The budget documents given to council members show the city expects to save $222,000 by replacing the nine retired officers with new hires at lower wages. Due to what he called a "precarious economic environment," Crawford said he's asking council members to set a new minimum fund balance policy so that general fund cash reserves equal 15 to 20 percent of the budget. The current policy is 8 to 12 percent. "This is a time for restraint on spending," Crawford said, adding the city should shoot for a higher fund balance to allow some leeway in case of another economic downturn. The city experienced a surplus in its general fund for the last fiscal year, with revenues of nearly $81.1 million and expenditures of $80.9 million. The unassigned fund balance for the general fund was about $10.5 million or 13 percent of budget at year's end. Crawford said the budget for the current fiscal year is projected to break even, despite previously plans to dip $1.56 million into fund balance. "Staff is working very hard to try to break even," he said. "We have many activities going on to try to do that." Tue, Feb 14, 2012 : 8:28 p.m.
@a2roots... so when someone brings up a wrong doing in the work place or how employees are being misrepresented, your instant reaction is to leave? You're the exact reason Unions were created in the first place and are still around. Thank you for keeping the mentality alive that justifies our existence every day. Wed, Feb 15, 2012 : 11:26 p.m.
A2roots.. How exactly has he held his employer hostage? The reality is he paid his &quot; fair&quot; share of what was in his contract. I'm sorry , just because Much of the private sector is putting the screws to their employees doesn't mean everyone has to get screwed. Your attitude of I don't have it..nobody should..needs to go. Wed, Feb 15, 2012 : 10:50 a.m.
Anti employee? Enough said. I never said I was disgruntled. You did. Another approach for you to try would be to ASK someone their opinion before trying to insert your own for them. Would also love to hear your examples of us holding the city hostage. Please, enlighten us all. Wed, Feb 15, 2012 : 2:15 a.m.
@bnr...little touchy aren't you. Just saying that for a guy so unhappy, with I think his employer, I am surprised you haven't moved on by now. Most disgruntled employees usually move on unless of course the golden goose lives with them. Many would argue that some unions have done more harm than good. Believe it or not I am not entirely anti union. I am anti employee, especially when they think they have an entitlement and for years have held their employer hostage. Time to get on with the reality of today and pay your fare share. @bnr...surely thought by now you would have moved on to work in a city that that is much better than Ann Arbor. Unless of course no matter how bad it is here it is better than you can find anywhere else. Tue, Feb 14, 2012 : 4:17 p.m.
Jones is head of all safety services. That includes Fire as well. Nice to see he only focuses his reporting on PD and says nothing about FD. Could have something to do with why he gets all the respect he does from FD. Tue, Feb 14, 2012 : 3:56 p.m.
Tue, Feb 14, 2012 : 7:10 p.m. I'm just going to pick mine up next year and use it again. Tue, Feb 14, 2012 : 6:32 p.m.
And come get my Christmas Tree. Why does the mayor want to pick on panhandlers? They need the money and are certainly part of the 99%............If very council member and a couple of their friends took one into their home and fed and cared for them we could eliminate the problem. Tue, Feb 14, 2012 : 2:36 p.m.
maybe the art commission can use more money. their back account is getting low. they only have 1.6 mil in it now. we need more art than fixing the roads. Tue, Feb 14, 2012 : 2:35 p.m. The spread between low, high and base is absurdly huge. It looks ,ore like a 50/50 chance future revenues will be worse! I believe the low projection is if the state eliminates the personal property tax without replacement revenue, which most observers of Lansing don't believe will happen. Tue, Feb 14, 2012 : 1:11 p.m. Thank you for posting the budget presentation. One thing struck me as interesting. The city seems to be shifting some of the cost of retiree benefits from the general fund to the other funds (water, sewer, parks). I suppose that will allow them to increase water rates to cover? Someone with more expertise can probably chime in here... This seems like tricks, not like real budget balancing. Tue, Feb 14, 2012 : 1:06 p.m.
C'mon folks. See the fire department argument for what it is. The &quot;national standards&quot; are set by former fire fighters. More fire fighters, more promotions, more $$$ for current fire fighters. It is sad that people who make their living off of our high tax rates try to scam and scare us into paying them more. Oh, and I provide facts all the time. You should really research your facts a little before trying to light someone up. If people choose to close their eyes, cover their ears, and yell, &quot;BLAH BLAH BLAH&quot; when someone tries to educate them, then that speaks volumes of their character. You can provide people with facts all day long, but if they're so stubborn that they believe what they tell themselves no matter what they've been given, well then... good luck with that. I'm not saying you're doing that, I'm just siting examples from past posters. Tue, Feb 14, 2012 : 10 p.m. Gladly. Look up the NIST study on staffing fire trucks. They aren't firefighters. They create national standards based off unbiased research. Even the ICMA report that came out, which is COMPLETELY biased agrees with their (NIST) findings. If you're truly care about reading unbiased reports, then Google it. It's worth reading if you really care about facts. Tue, Feb 14, 2012 : 9:35 p.m.
Bnr you don't seem to provide very many facts yourself. Tue, Feb 14, 2012 : 9:34 p.m.
Bornnraised, you are the fire fighter so please enlighten us peons. Tue, Feb 14, 2012 : 6:03 p.m.
My bad. We all know how righteous the insurance industry is. I'm sure you are correct in that no fire fighter had any input into these standards since they so steadfastly look out for each other, by their own admission. Tue, Feb 14, 2012 : 5:46 p.m.
Tue, Feb 14, 2012 : 11:39 a.m.
Agree with Mr. Ranzini: Public safety and health services require funding before public art. Tue, Feb 14, 2012 : 11:34 a.m.
Ann Arbor is not meeting national standards for fire safety. This will raise our fire insurance rates &amp; cause more unnecessary loss of life. 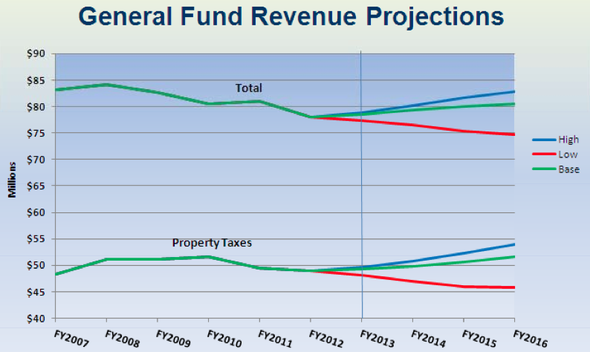 The current budget for 2012 anticipates even further cuts to the fire department personnel. The new proposed budget still cuts five firefighters! This must be stopped &amp; adequate staffing provided once again to keep the citizens &amp; their properties safe! Tue, Feb 14, 2012 : 1:16 p.m. The city has spent a lot for a hole in the ground! Tens of millions, real money that cost real jobs.